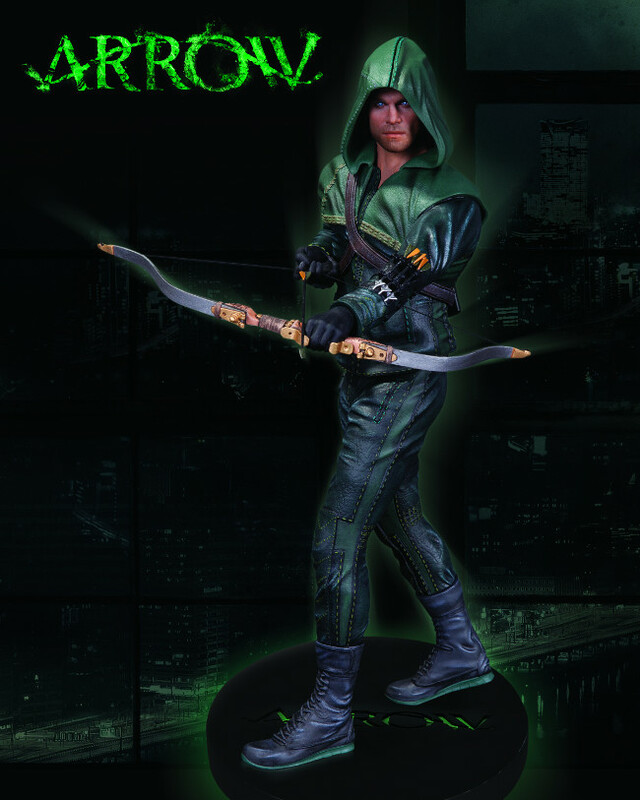 The Arrow stalks his prey in this stunningly lifelike statue based on The CW's hot new show, "Arrow." In order to atone for the sins of his father, Oliver Queen must become a dangerous vigilante who will stop at nothing to rid Starling City of the criminally corrupt. Based on the likeness of actor Stephen Amell, this is a must-have for fans of the show! Measuring approximately 13.25" high x 5" wide x 5" deep, his hand-painted, cold-cast porcelain statue is packaged in a 4-color box.